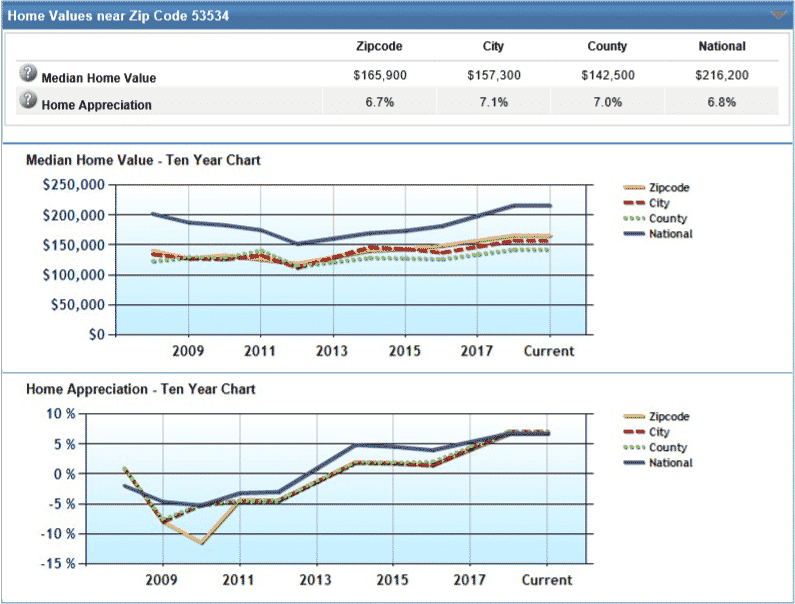 Edgerton community reports will show you Edgerton home values, population, job growth and more, in comparison to the rest of the county and even the national average. Below is a breakdown of each individual category comparing the 53534 zip code to the City of Edgerton, Rock and Dane counties and the national average. In Edgerton, real estate prices have been on the rise for the 3rd consecutive year, while home appreciation per year is up over 6.5%. To continue reading the Edgerton Community Report, click the link below.